Release the 10 Giants, let them destroy the Cannons. 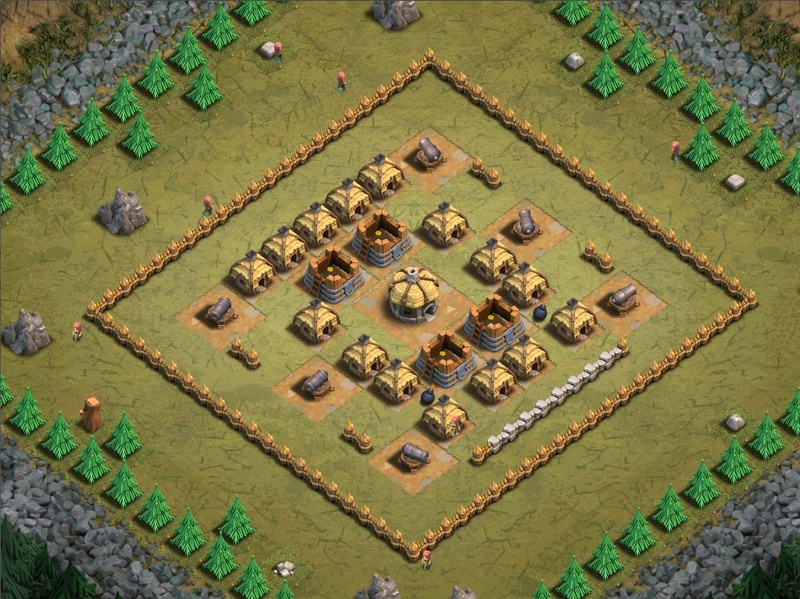 Deploy the Archers to help with the other buildings. Deploy 10 Giants at the bottom left side. Or, Deploy 10 Giants and 2 Wall Breakers next to a Cannon. By the way, only one Balloon (or Minion) will just as easily destroy the base as well. 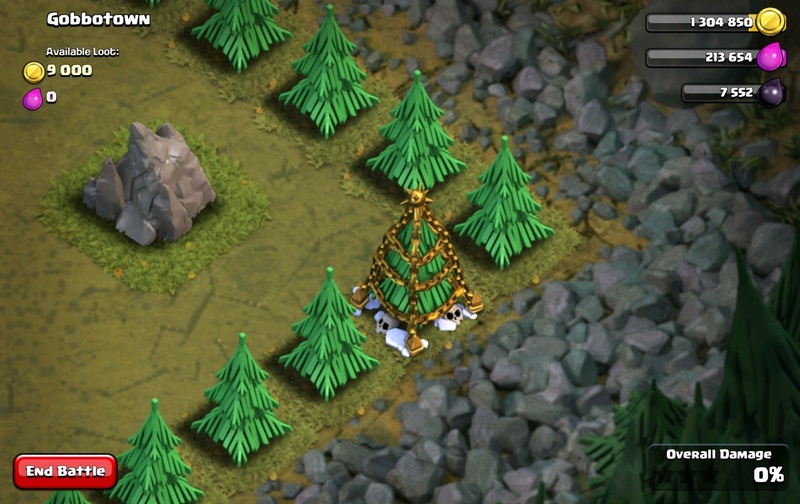 There is a Christmas Tree from the winter’s 2013 Game Update at the right corner of the map.